Facebook Like button for popularise Your Web contents - How to create and integrate FB Like Button to websites? FB Like button is the quickest way for people to share content with their friends. It allows FB users to share pages and content from your site back to their Facebook profile with one click, so all their friends can read them. On clicking the button, it will ask to login. if you are logged in it will ask to confim and finally asks to add comment. 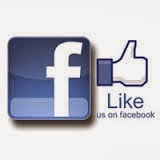 Place the below given code wherever you want the Like button to appear on your page. you can alter the display by changes the values for the attribute in above tag. You can also display a Share button next to the Like button to let people add a personal message and customize who they share with. How to create and add Facebook share Button to websites?